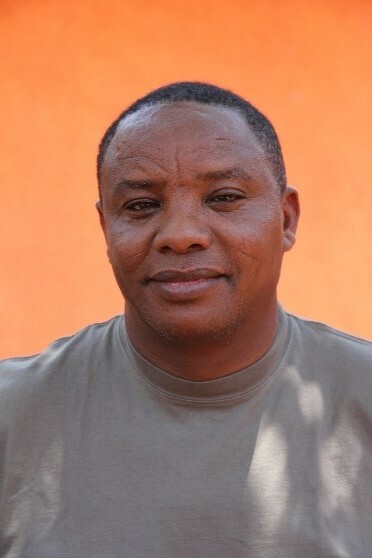 Coordination Belgium: Steven Andries (working group water of Misingi). 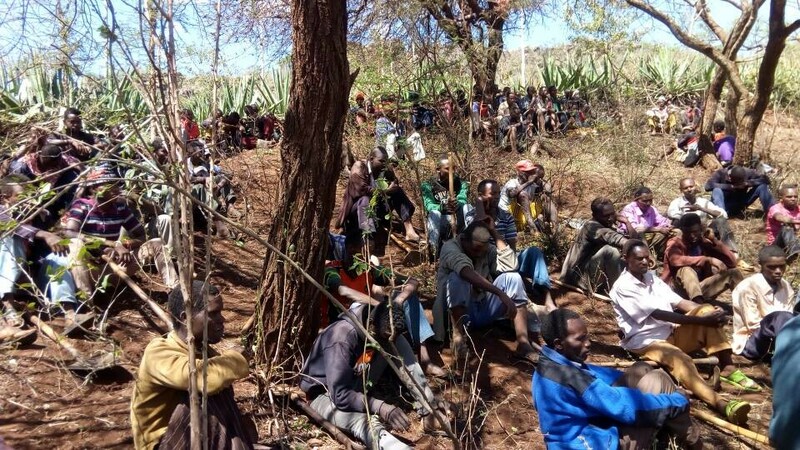 At the express and repeated request of the population of Endallah, Misingi vzw decided in October 2016 to go full out for a large water project in the village (then ‘Maji’, now ‘Maji I’) in the coming 3 years. 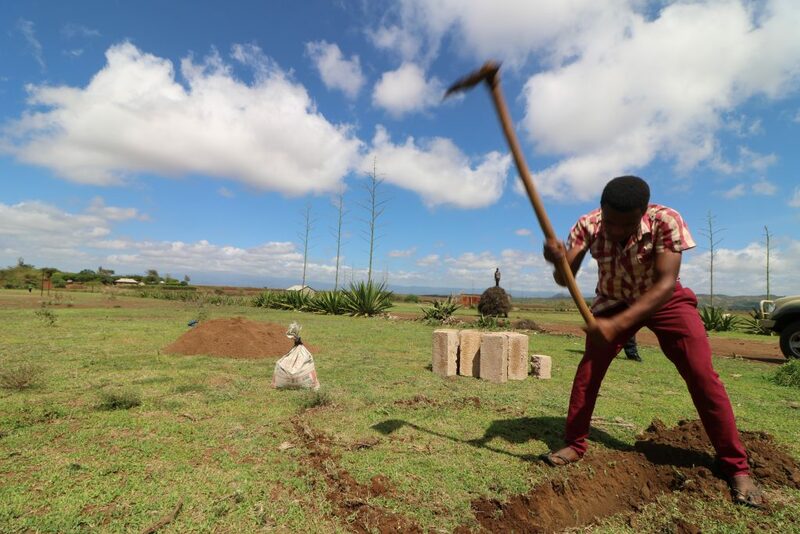 Because of the success of ‘Maji I’ and the smooth project progress, Misingi vzw decided in May 2018 to expand the project (‘Maji II’). In this way, the water in the region can be optimally used and the new network is connected to already existing networks. The total water project (‘Maji I’ and ‘Maji II’) comprises a bore of about 135 meters deep, the installation of a powerful pump, the construction of 2 water reservoirs and the construction of 20 km of pipelines, the construction of 18 new distribution points and the connection with about 10 old distribution points. In this way Maji brings water to the most remote corners of Endallah and Shangit village (Basodawish). The existing distribution points in Endallah village are now permanently supplied, where they used to go out in the dry season. The total cost of the project was 245,000 EUR. 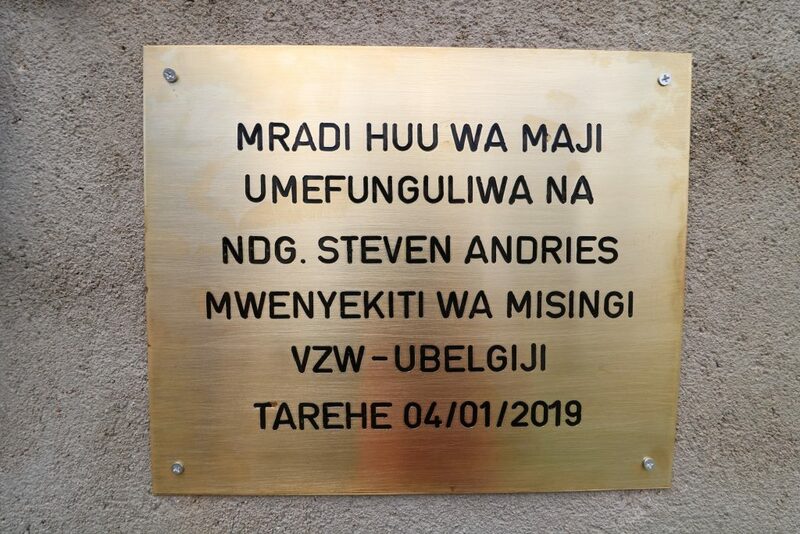 Of this, 135,000 EUR was contributed by Misingi vzw. Dorizon Doenja vzw contributed 23,000 EUR and Karatu District, Endallah village and the local water company ENDAWASU contributed 87,000 EUR. When this project started, Endallah had to make it with 3 distribution points that would be without water during the long dry season. 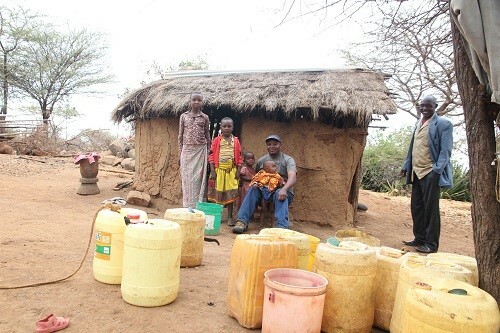 After all, the supply came from very far and the source in Kansay River Forest is so low in the dry season that it could no longer supply all the connected villages with water. Endallah is the village that is the furthest away from the source and therefore the first one without water. This resulted in the well-known scenes: women and children who dig for hours on sandy water in the dry riverbed and farmers who, even when there is enough water in the tank, walk back and forth for 4 hours with their donkeys or oxen in order to center of Endallah to get barrels of water. Thanks to the Maji project and its own ‘borehole’ there is water all year round and Endallah is no longer dependent on the source in Kansay River Forest. Also, the Endallah Secondary School, the dispensary and 3 primary schools (Endallah ‘center’, Shangit and Manusay) benefit directly from this. 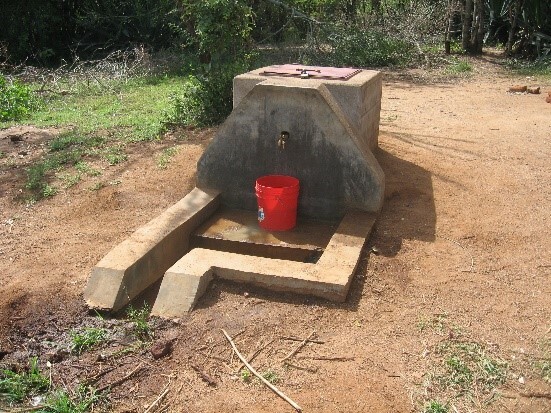 They now have their own distribution point which, thanks to this project, is connected to the new water pump that pumps water all year round. Thanks to Maji II, Shangit village (a hamlet of Basodawish with its own primary school) was also connected to the network. 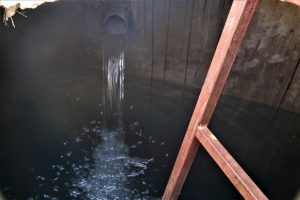 The connection between Maji and the ENDAWASU network (and at a later stage Masabeda Solar Pump) also guarantees optimal and efficient water use in the region. For the inhabitants, Maji means a world of difference. With the placement of 18 new distribution points in Shangit and Manusay districts, the ‘walking time’ was drastically shortened. The families and farmers who used to descend from the hills with their donkeys to the center of Endallah to sit there for an hour, can now get water much closer to their home. They not only save a lot of ‘walking time’, the ‘waiting time’ at the existing distribution points also decreases. The water project will drastically change the life in Endallah and Shangit. In he future, the time that was previously spent on water supply can be better filled: children get more time for play and study, adults get more time for work and entrepreneurship. And because of the new possibilities in the field of irrigation, there will also be some more life security. 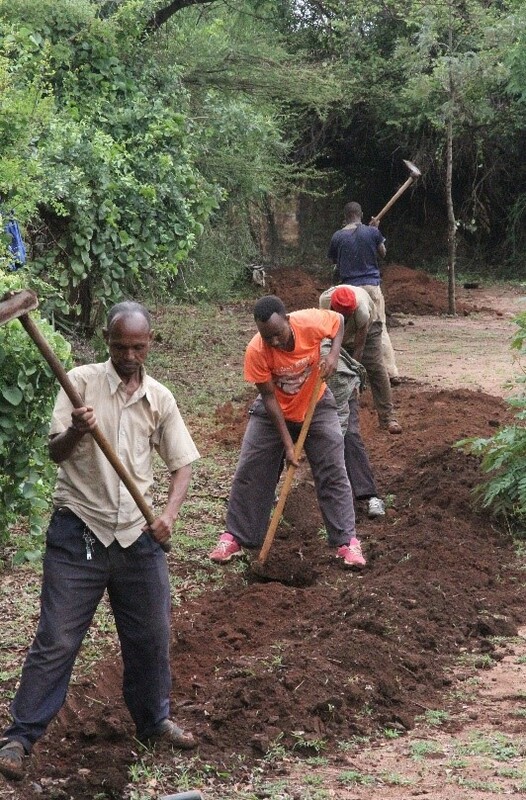 The first professional vegetable gardens in the close proximity of a water distribution point are now a fact. The whole community benefits directly from this project. An ambitious water project like ‘Maji’ costs a lot of money. 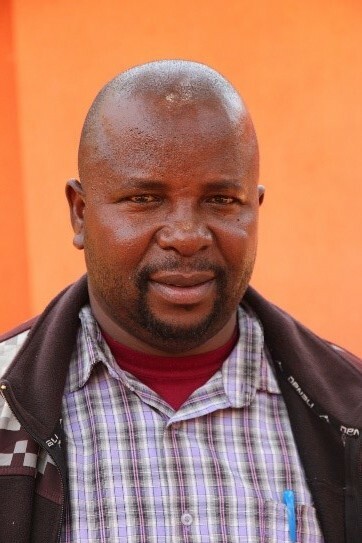 The cost for Misingi vzw amounted to 135.000 EUR. 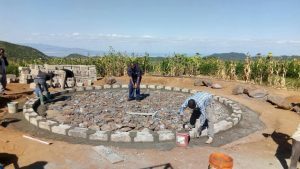 Dorizon Doenja vzw and the local community contributed another 110.000 EUR via taxes, voluntary labor (digging), investments from the local water company ENDAWASU and subsidies from Karatu district. Misingi vzw financed part of the costs by addressing its carefully constructed reserves. 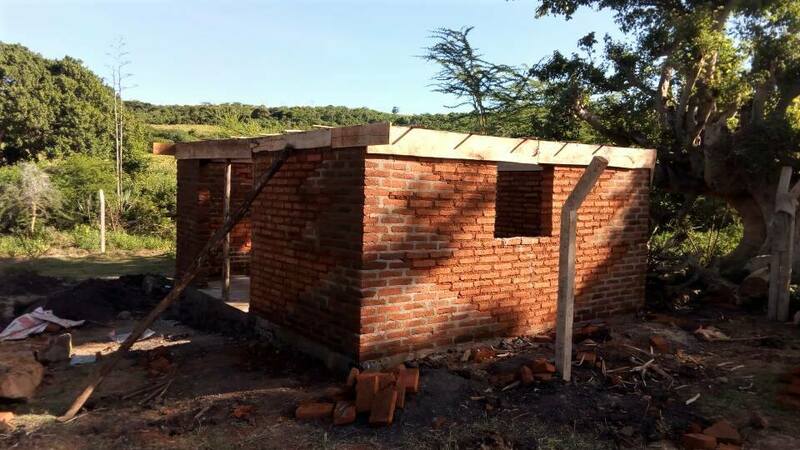 Because of the impact of this project and the requested financial efforts, this was justified. The existing reserves were of course not sufficient to realize the entire project. We therefore proceeded in phases and provided a project duration of 3 years. Concretely, this meant that some EUR 105.000 had to be collected within this period. This happened step by step with the help of our loyal sponsors, new sponsors, companies and many schools. Naturally, the story does not end after the completion of the water network. ENDAWASU, Shangit and Endallah village are responsible for the maintenance of the network. For the maintenance of the pump itself, a contract was concluded with the installer. Therefore the water is not distributed for free. The inhabitants pay a low-threshold price for the water, so ENDAWASU has sufficient income to finance maintenance and repair work. 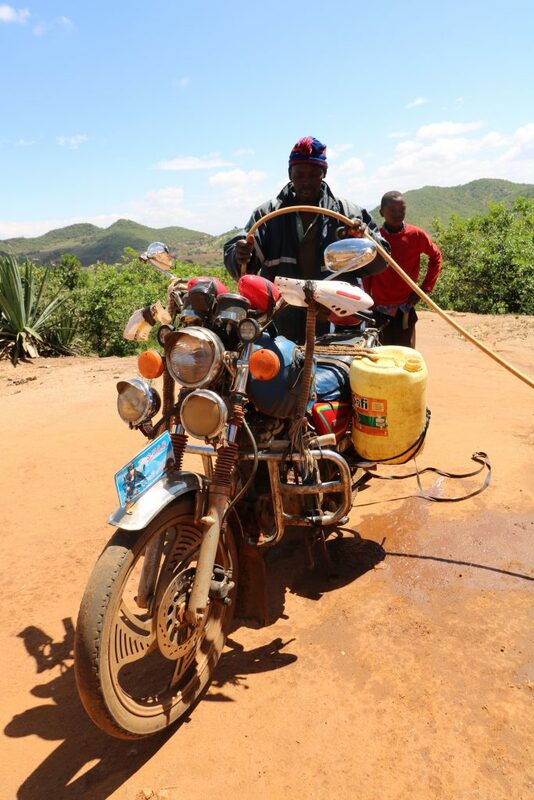 The small contribution per liter also encourages users to use the pumped water sparingly and profitably. Phase 0: Pre-study. During the first week of October 2016, test drilling was finished. Based on further geological research, 4 locations were selected in order of desirability. On behalf of Misingi vzw, Steven Andries traveled to Endallah and discussed the results of the research with the surveyers of Explotech Landscaping & Drilling and district councellor competent for water, John L. Mahu. Steven, John, Petro Y Saidi (mayor of Endallah) and Elibariki Dimme (ENDAWASU chairman) visited the different spots for the drilling, the water reservoir and the distributions points. 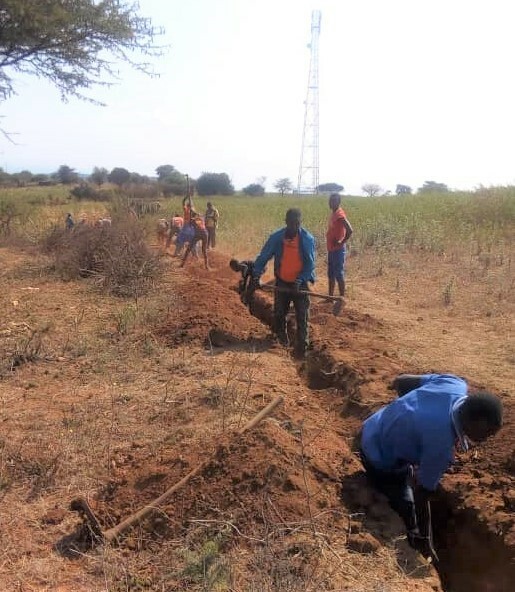 Engineers from Karatu District and ENDAWASU calculated distances, gradients, etc … In anticipation of the final drilling and the flow that this drilling would yield, the original project plan was adjusted and recalculated. This plan was submitted for approval to the Board of Directors of Misingi vzw on 31 October 2016. Phase 1. Drilling. Drilling started on November 5th, 2016. 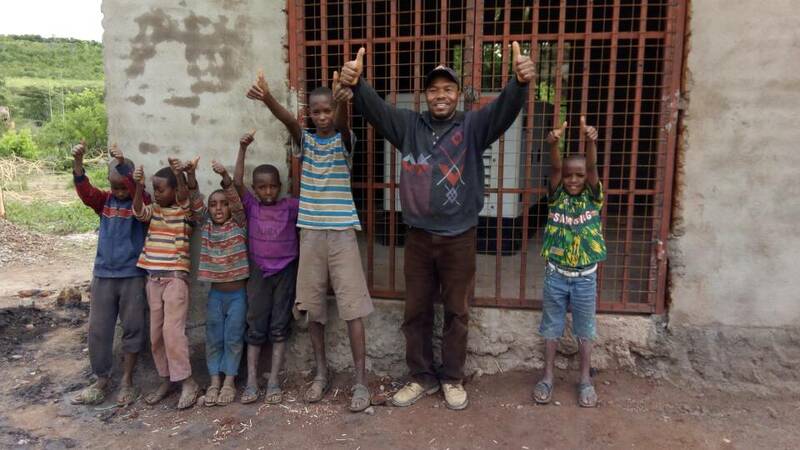 The first and positive results were already obtained on Monday November 7th: water – Maji! 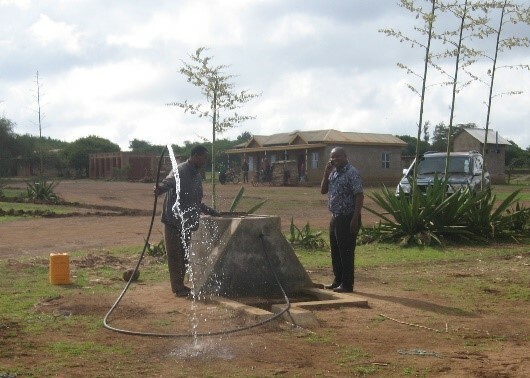 During the next weeks the borehole was stabilized, strengthened and finalized. The test results were very encouraging with an output of 13.000 litres/hour and a quickly self-recovering water table. 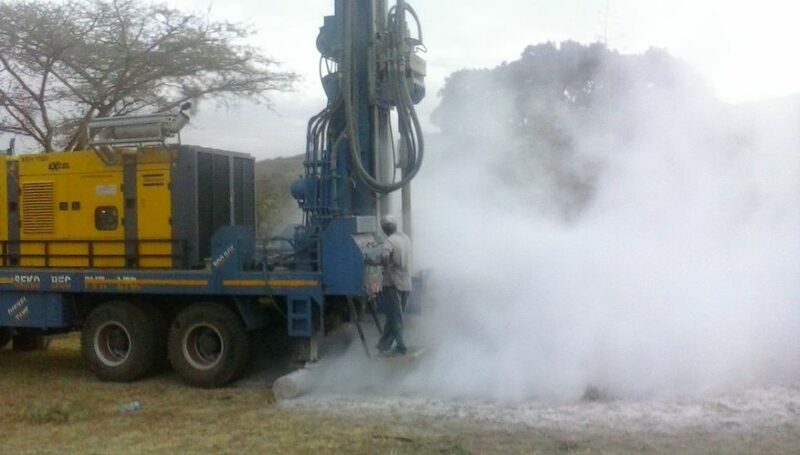 The borehole was sealed awaiting the installation of the pump. 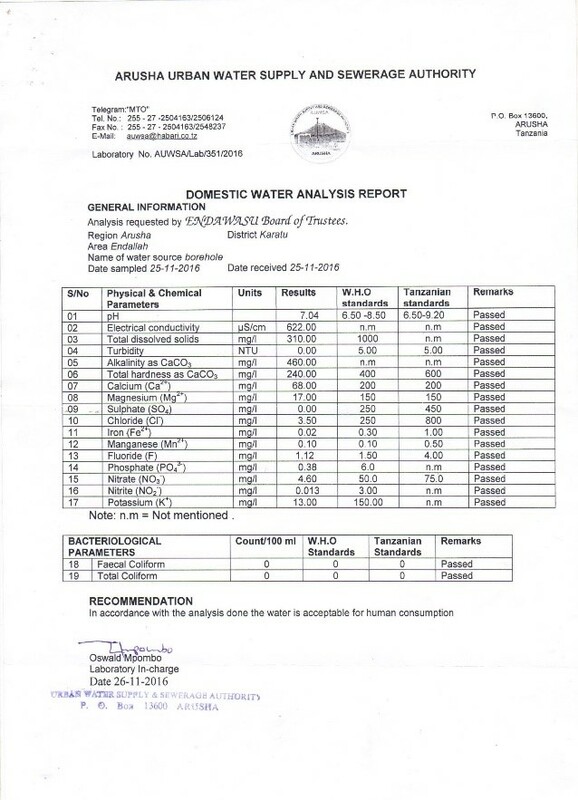 Water samples were sent to the Urban Water Supply and Sewerage Authority in Arusha for analysis. The water was approved for consumption on November 25th. Fase 2: Connection to the existing distribution network. ENDAWASU ordered the water pump and the pipes by early January 2017. They delivered them on February. The habitants of Endallah started digging the trenches immediately and ENDAWASU placed the piping. Early March, this phase was completed. Fase 3: Topographical survey. A topographical analysis was carried out during the month of March and resulted in a detailed technical design report that was delivered half April. Phase 4: Installation pump and pump housing. 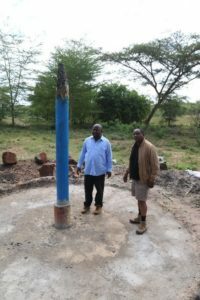 May 2017 the water pump was installed and tested. June, awaiting the electricity network promised by the government, ENDAWASU provided a heavy generator. 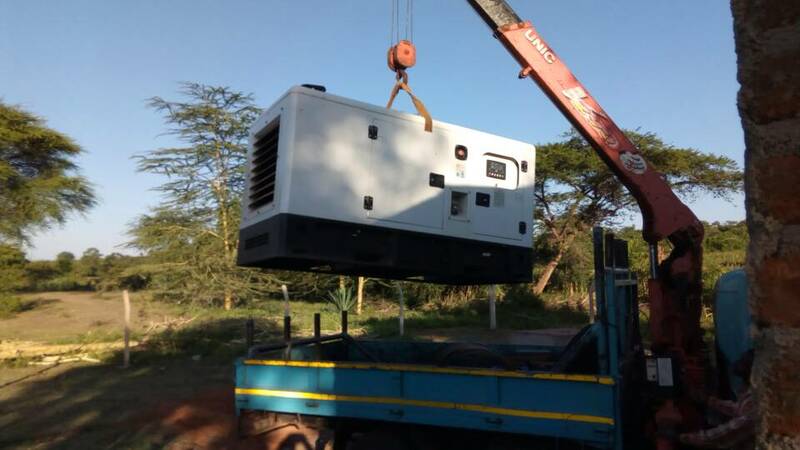 On the 25th, the generator pushed the first water from the new borehole through the old circuit. The existing storage tank in Endallah was completely filled in just 4 hours. 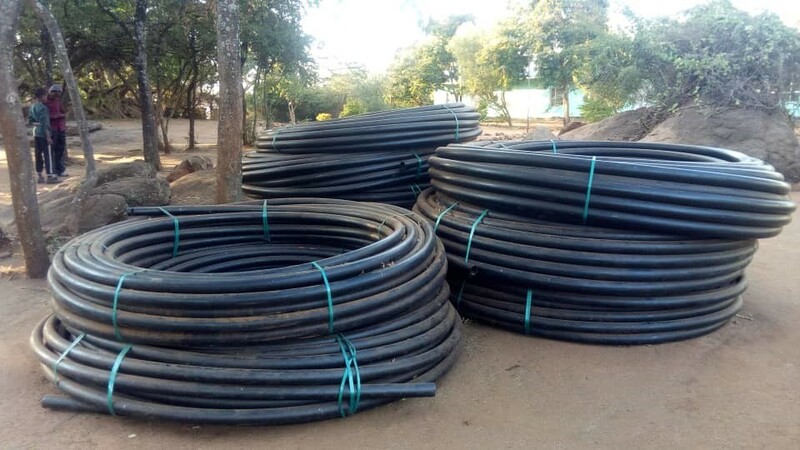 This means that the current water problem, an empty storage tank in dry season or by technical defects on the long supply lines, definitely has come to an end. The first major project component has been completed. 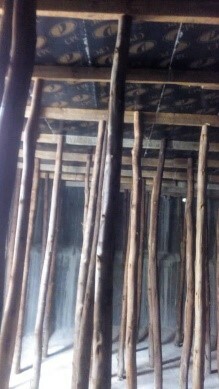 The branch to the dining room of Endallah Secondary School was provisionally postponed because the supply of Shangit by the village community was considered more urgent. A separate distribution point was provided for Endallah Secondary School. 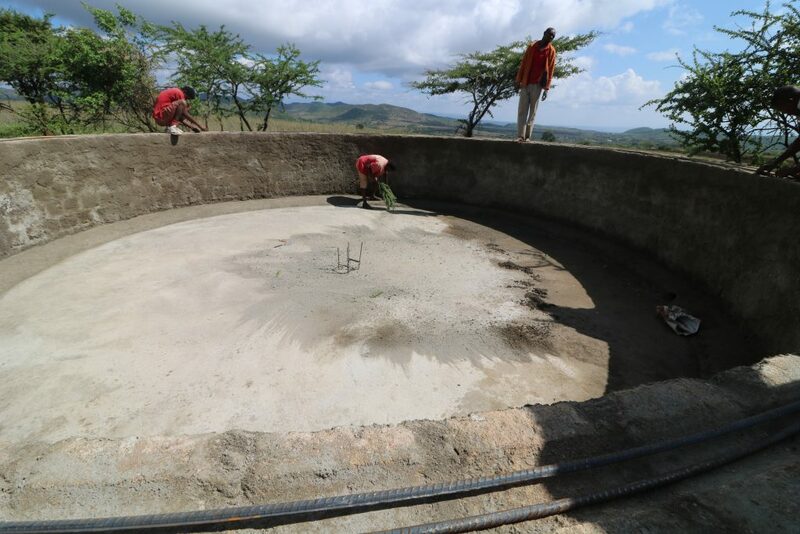 Phase 5: Construction of a new storage tank on a hilltop in Shangit subvillage. The new storage tank (construction in stone with a storage capacity of 100m³) was completely finished in July. After connecting to the new pump, this tank will store the water that the two new distribution lines must supply. 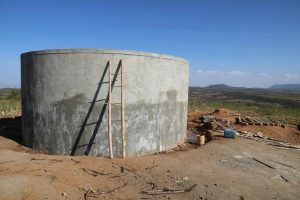 Phase 6: Connection of water pump with new storage tank in Shangit subvillage. At the end of September 2017, after harvesting, the new water pump was connected to the new storage tank (1.7 km) via an upward pipeline. At the kindergarten of Shangit (‘DP Shangit Kindergarten’) a first new distribution point was taken into use. Now The storage tank can be permanently refilled so that, from here with the help of gravity, new distribution lines and points can be created. For the first time ever, the people of Shangit don’t have to to go all the way to the village center for getting water. Phase 7: Construction of a distribution line to Lambo / Kanisa. 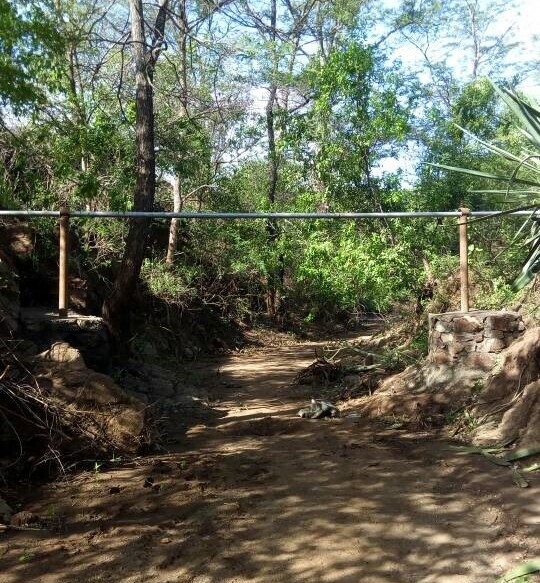 At the beginning of October 2017, the construction of the most difficult of the three new distribution lines started. This line connects the new storage tank with a district on the border with Lambo, 2,5 km away. This phase was completed in December 2017. With this distribution line, people who live the furthest away can now enjoy drinkable water in their proximity. 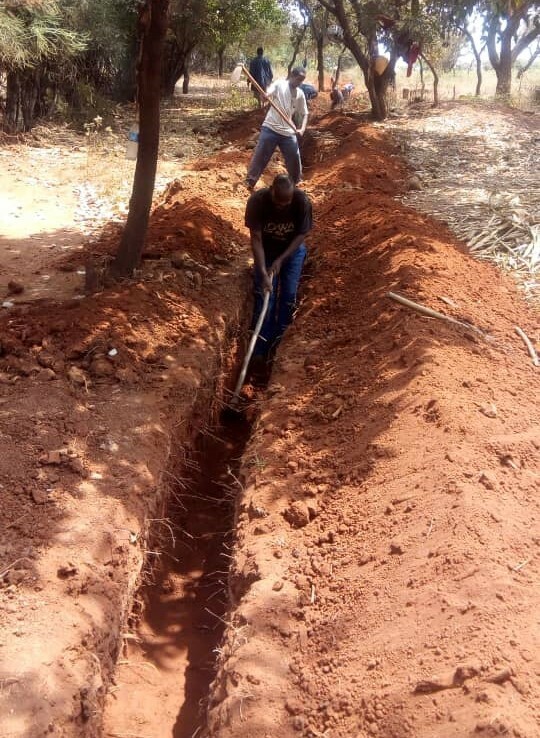 Phase 8: Construction of a distribution line to ‘Mwalimu Marco’. This phase was started in December 2017 and completed in January 2018. This line is located parallel to the pipeline that pumps the water from the water pump to the storage tank and is about 2.7 kilometers long. It goes to the border between Endallah and Shangit subvillage and has 4 distribution points. Phase 9: Branch of Endallah primary school to Darabe Awaki and distribution line to ‘Charles Umbe.’ Because of the exceptionally long rainy season and the shifting of the harvest period, both phases were started up in December. They have now been completed. With this completion, ‘Maji I’ is finished. Phase 10: Construction of a new storage tank ‘Vodacom’. 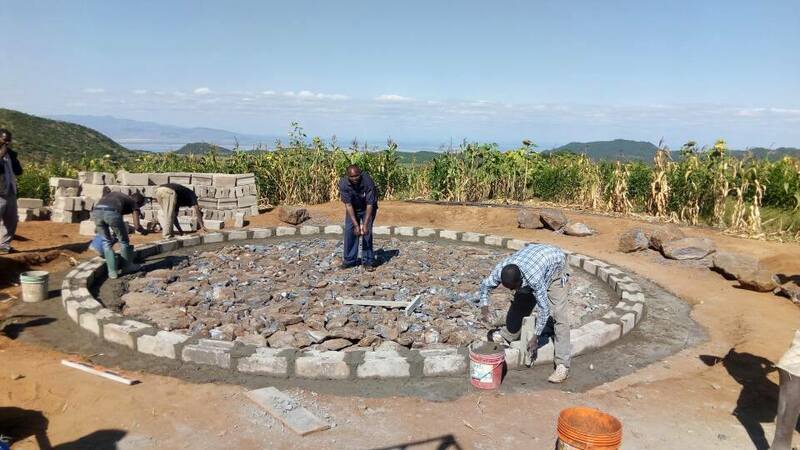 The construction of the new storage tank on a hill on the border between Endallah subvillage and Kijiweni (construction in stone with a storage capacity of 130m³) was completed in February. This tank is supplied by the water pump (‘Maji I’), the existing ENDAWASU network and – at a later stage – Masabeda Solar Pump. Via gravitation it distributes water to Kijiweni, Shangit village and the old storage tank next to Endallah Secondary School. Phase 11: Connection of storage tank ‘Vodacom’ to the existing network of ENDAWASU. The storage tank is connected to the existing ENDAWASU network via a pipeline of 800 meters. In this way, overproduction on the ENDAWASU network via the new storage tank is efficiently channeled to the new distribution lines. 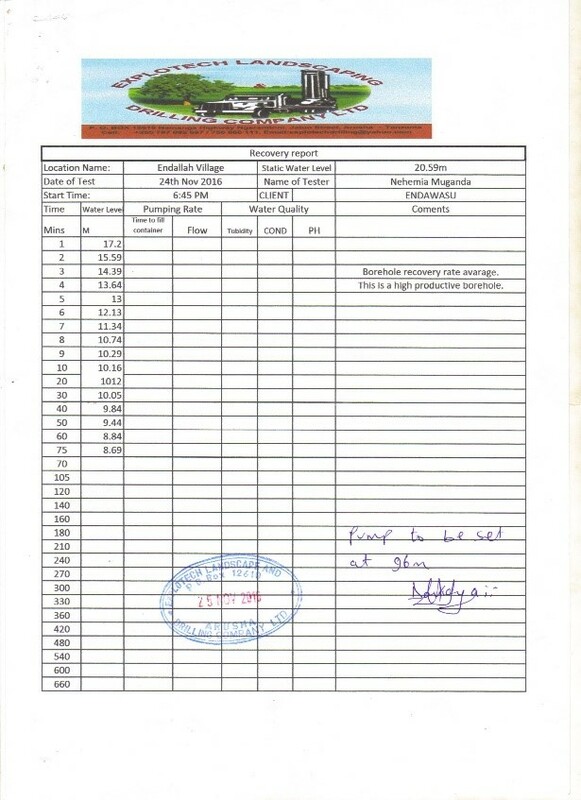 Phase 13: Construction of a distribution line to Shangit Village (Basodawish). This line runs from the storage tank to Shangit Village (hamlet of Basodawish) and is 3.7 kilometers long. 3 new distribution points were installed to supply the people of the hamlet and Shangit Primary School. Shangit (Basodawish) enjoys water since February! 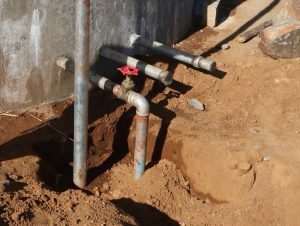 Phase 14: Connection between storage tank ‘Vodacom’ and the old storage tank next to Endallah Secondary School. This 1.7 kilometer long pipeline supplies the old storage tank permanently (previously it was dry in the dry season). There are 5 old distribution points on this distribution line that have been renovated and connected. 4 new distribution points were also placed. With the completion of this phase, MAJI II came to a definite end. Phase ‘Party’: On 4 January 2019 – a little bit premature – we celebrated. An extensive delegation from Misingi traveled to Endallah (at their own expense) to officially transfer MAJI I and II to the community. Celebrating with dancing and … speeches! Whoever has not seen it, can not possibly imagine what was realized here and what a difference this makes for the people of Endallah. After 2.5 years of hard work we (Tanzanian workers and ‘influencers’ and white fundraisers) can look back with some pride for what we have accomplished! (middle) John L. MAHU, Councellor for Karatu District, responsible for water and education. Inspiring pioneer and initiator of all our previous projects. (right) Petro. Y. SAIDI, mayor of Endallah. Respected mayor with a direct no nonsense approach. 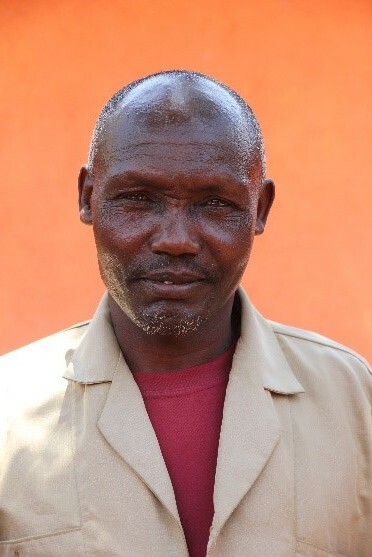 Involved in most of our previous projects and coordinator of the construction of Endallah Secondary School.